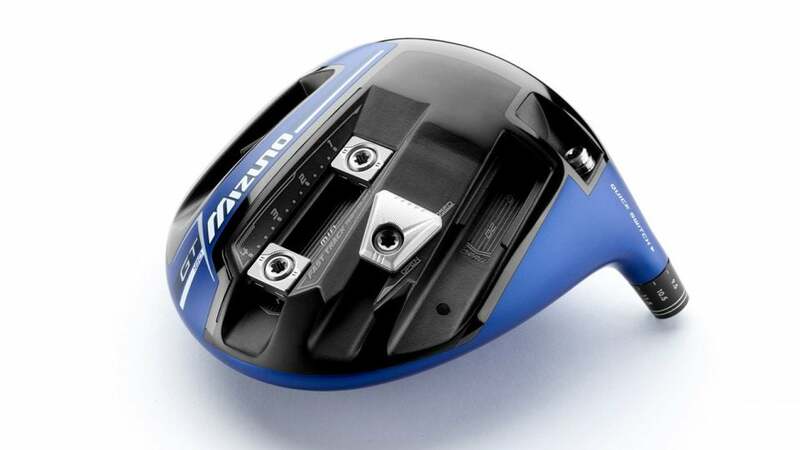 The new Mizuno GT180 driver. SPECS: 9.5° (lofts adjustable -2/+2°, with Mitsubishi Tensei CK, Kuro Kage Silver Dual-Core TiNi, or Bassara E-Series shafts. RECOMMENDATION: Targets all handicap levels looking for an all-around performer that can be dialed in with extreme accuracy. KEY TECHNOLOGIES: Two 8g sliding sole weights for custom CG location; heel and toe weight slots for shot-shape-bias customization; adjustable hosel and visual face angle slider for loft and face-angle tuning; internal waffle design for a thinner, lighter crown; SP700 forged titanium face for enhanced ball speed. The GT180 has all the technology and performance characteristics found in the ST180 but with a vastly more adjustable design. In fact, the GT180 is arguably one of the most adjustable models available today, with not only loft and face-angle customization available but also shot shape bias and CG location tuning. For those who like the Mizuno look and feel along with massive amounts of custom-tuning options, the GT180 should definitely be in the conversation. "Similar in performance to the ST180 but with much more adjustability. Impressive distance and forgiveness with the added benefit of very specific fitting options."